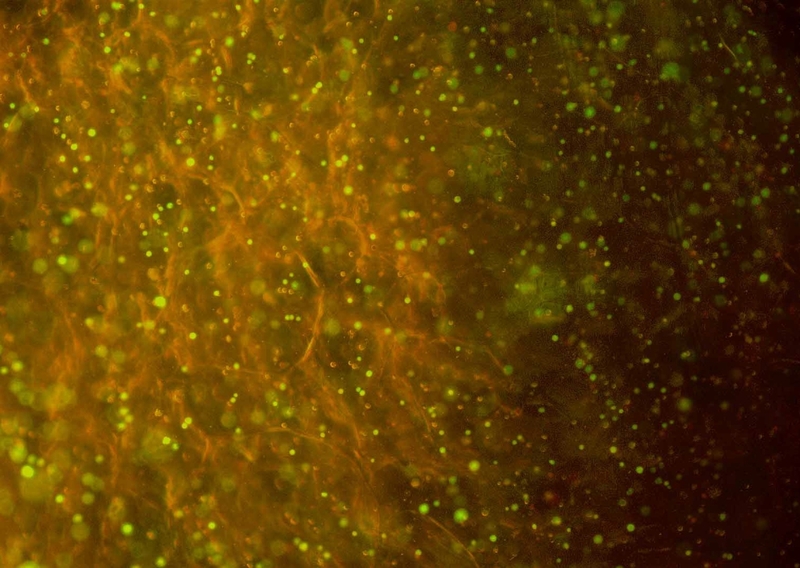 There are numerous biomedical uses for biomaterials made in the form of films, fibers, foams and gels. It is highly desirable that these materials exhibit biocompatibility and biodegradability (when required). One such material is alginate. Of particular interest recently are alginate foams. Alginate foams offer many new possibilities for overcoming today’s bio-medical challenges in areas such as: tissue engineering, wound management, anti-adhesion, in vivo/in vitro cell support, medical implants, and controlled drug release in situ. FMC – NovaMatrix are opening several patents for ultra-pure alginate foams developed by NovaMatrix for customers use and development. These foams can be flexible and pliable, yet can be engineered to provide structural integrity and tensile strength if required. Unlike other foams, alginate foams using ultrapure PRONOVA alginates can be formulated to be biocompatible, do not exhibit handling brittleness, and could be manufactured without the need for expensive equipment, and processes such as freeze drying. PRONOVA alginate would allow for low endotoxin levels and the foam may be sterilized using common sterilization techniques. 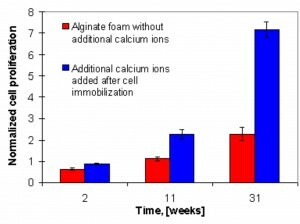 For example, the alginate foams can have several benefits as immobilization matrices. Materials such as drugs, particulates, living cells, etc. can be immobilized within the pores of the foam. 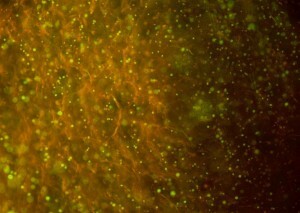 For cell immobilization this is a quick and gentle technique; the living cells are immobilized from the start in a three dimensional network. As such, they tend to readily proliferate in three dimensions within the foam matrix. 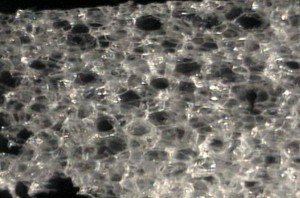 To imitate the natural environment for differentiated cells, the elasticity/stiffness of the foam can be modified. The cells can also be readily harvested later for further study by using chelating agents to dissolve away the foam. With such diversity of possible applications, no one foam formulation would be sufficient, or practical. However, there can be high formulation flexibility of alginate foams and they can be engineered to meet the requirements of specific applications. 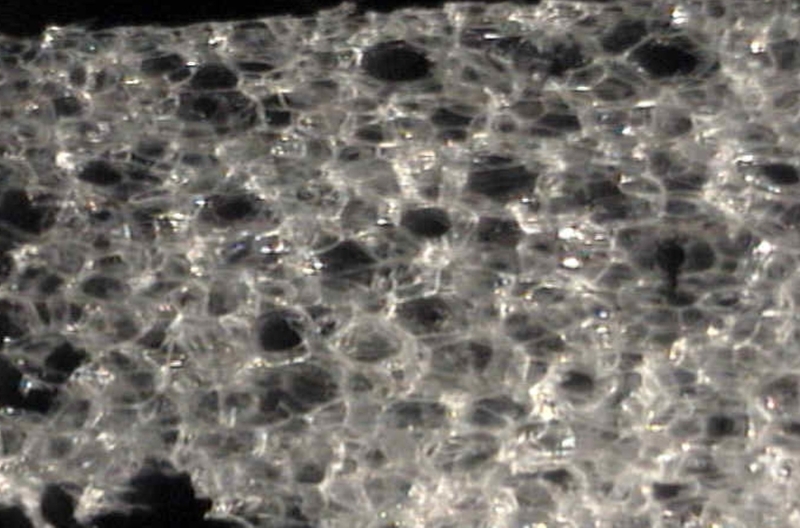 Among the physical foam properties that can be controlled are pore size, strength, degradation rate, absorption rate, absorption capacity and density. NovaMatrix is capable of providing you with the ultrapure grades of alginates that can be used to develop an alginate-based foam tailored to your specific interest and application requirements. 3D Cell Culture in Alginate Hydrogels; Microarrays, 4(2), 133-161, March 2015, Andersen T., Auk-Emblem P., Dornish M.
Biomacromolecules, 13 (11), 3703-3710, 2012, Andersen T., Melvik J.E., Gåserød O., Alsberg E., Christensen B.E. Alginates as biomaterials in tissue engineering; Carbohydrate Chemistry, Ed. Rauter, A.P., 37, 227-258, 2012, Andersen, T., Strand, B.L., Formo, K., Alsberg, E., Christensen, B.E. Storage of Oral Fluid as Dried Spots on Alginate and Chitosan foam – A New Concept for Oral Fluid Collection; Bioanalysis, 5 (3), 317-325, 2013, Lødøen C.P., Eibak L.E.E, Rasmussen K.E., Pedersen-Bjergaard S., Andersen T., Gjelstad A.
Formulation and bacterial phototoxicity of curcumin loaded alginate foams for wound treatment applications Studies on curcumin and curcuminoides XLII; Journal of Pharmaceutical Sciences, 100 (1), 174-185, 2011, Hegge A. B., Andersen T., Melvik J. E., Bruzell E., Kristensen S., Tønnesen H. H.
Evaluation of novel alginate foams as drug delivery systems in antimicrobial photodynamic therapy (aPDT) of infected wounds – an in vitro study: studies on curcumin and curcuminoides XL; Journal of Pharmaceutical Sciences, 99 (8), 3499-3513, 2010, Hegge A.B., Andersen T., Melvik J.E., Kristensen S., Tønnesen H.H.